The Mayor of Reading’s Christmas cards supporting four local charities are now on sale. The cards feature two atmospheric pictures of Reading Abbey in the snow taken by local photographer Chris Forsey. 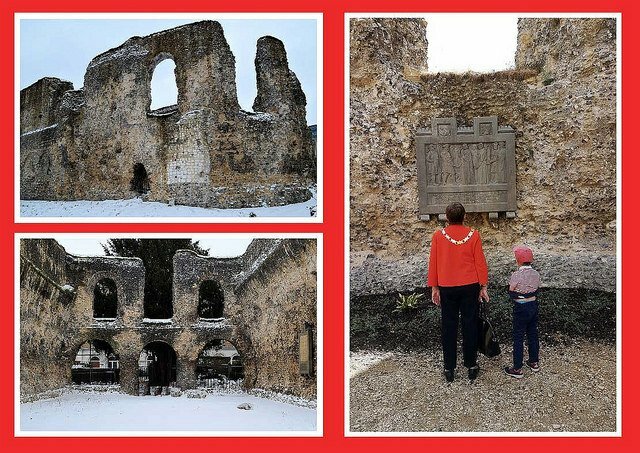 A third picture entitled Past, Present and Future, is a family affair featuring the Mayor, Cllr Debs Edwards, with her grandson in the Abbey Ruins, and taken by the Mayor’s daughter Lucy Neal.